On demand healthcare for the demanding workplace. 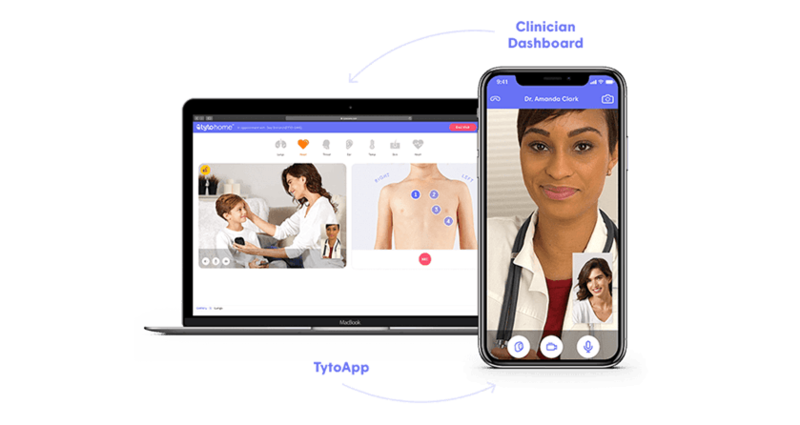 TytoCare provides employers an easy, convenient way to give employees access to quality medical care anytime, anywhere. 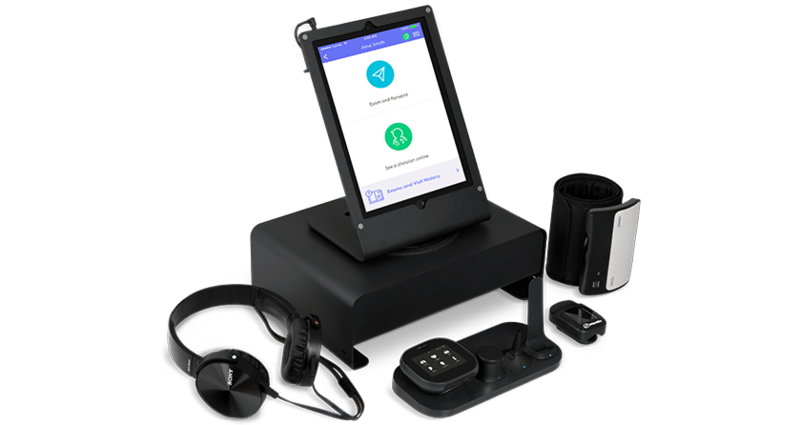 Our telehealth solutions are designed for use in the office, at home, and on the road, which enables employees to connect with a clinician or specialist for a medical exam and telehealth visit when needed. Provide on demand medical exams to your patients. Monitor post-op patients and those with chronic conditions. Improve level of care, reduce costs, and improve patient satisfaction. Provide remote medical exams to students and faculty. 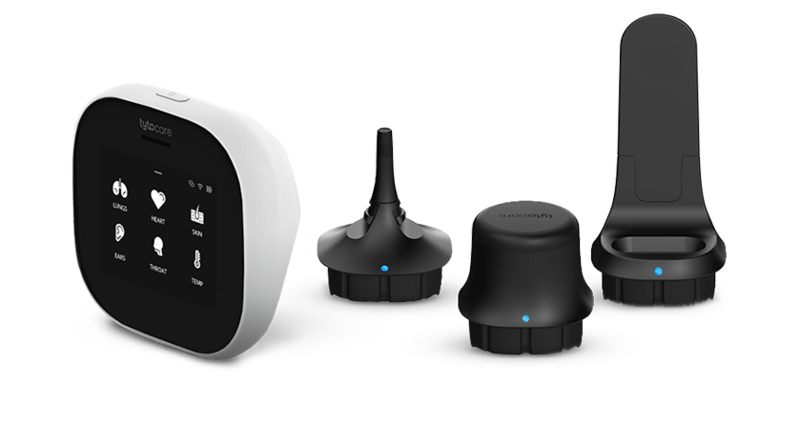 Increase school telehealth coverage with a portable, affordable solution. Improve student care and reduce absenteeism. Provide expert consults and second opinions when needed. Reduce on-site staffing needs, improve load balancing. Provide nurses with access to on demand clinician and specialist consults. Reduce visits to the ER. Provide patients with on demand medical exams with a doctor or specialist. Provide employers with access to on demand medical exams and telehealth visits conducted by your physicians. Reduce unnecessary visits to urgent care and the ER. Improve employer productivity and reduce absenteeism while expanding your patient base. 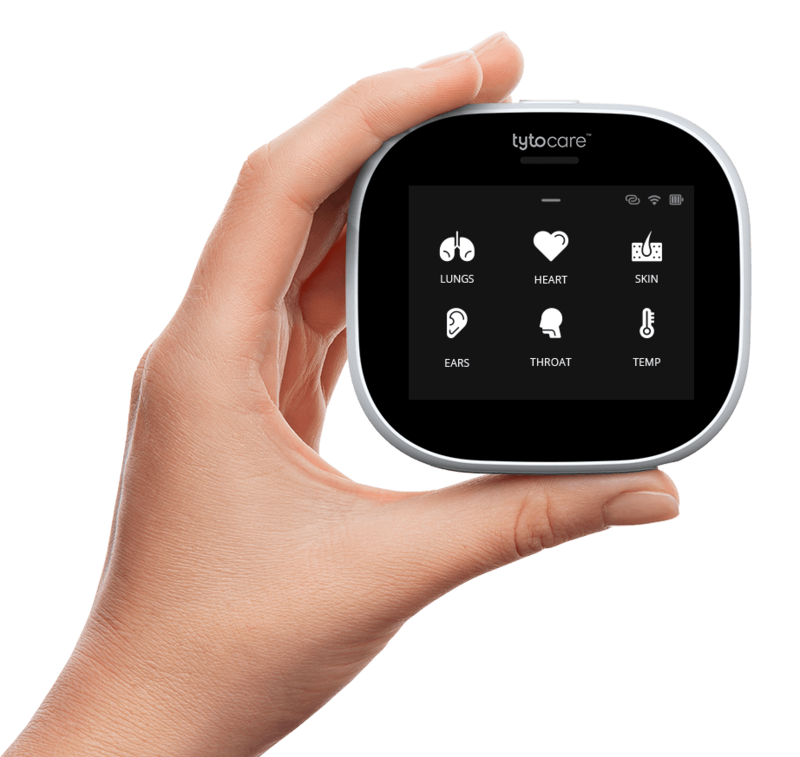 Designed for consumer use, TytoHome fits in the palm of your hand, has built-in guidance to ensure accuracy and ease of use, and provides clinicians with clinic-quality exam data to help ensure patients receive the best remote diagnosis and treatment possible. Developed for professional use, the TytoPro examination kit is designed for the rigors of daily clinical application. 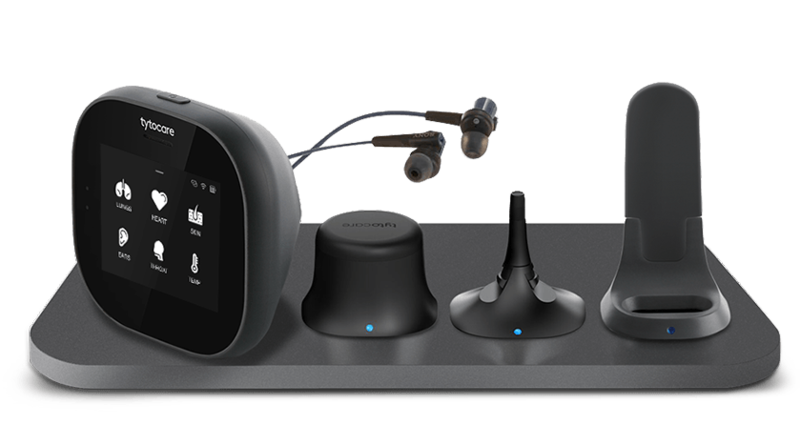 It offers a customized clinician workflow, comes with headphones for listening to heart and lung sounds, and can be used in the office or remote locations, such as schools, clinics, and homes during home care visits. On-site clinics provide employers with significant benefits: Up to 55% reduction in ER and urgent care costs, 32% reduction in employee absenteeism, and 52% increase in employee productivity. However, for many employers the cost of staffing an on-site clinic is not feasible. Tyto solves this problem with our turn-key, affordable TytoClinic™ solution. TytoCare is transforming healthcare delivery with On Demand medical exams and telehealth visits, anytime, anywhere. The Tyto stethoscope is FDA cleared, and all Tyto products comply with all FDA requirements. Copyright © 2019 TytoCare Ltd.